Cleft palate and cleft lip known as orofacial clefts are a common type of birth defect which occurs when an infant’s mouth or lip does not develop correctly during pregnancy. People who have these conditions will often have to undergo a number of surgeries along with other types of medical procedures. Even though the exact causes associated with orofacial cleft conditions is unknown, the affected children usually have a close or distant relative that had an orofacial cleft. This is a suggestion that genes can be a deciding factor as to why some people contract this condition. In many cases when a baby is born presenting a cleft palate or cleft lip there are chances that they have other medical conditions. The associated conditions often include 22q11 Deletion Syndrome, Stickler Syndrome and PRS (Pierre Robin Sequence). The pregnant mothers that have received a diagnosis for their unborn child with a orofacial cleft condition, will in most cases be offered with additional tests as these babies have a higher chance of having other syndromes when compared to a baby without orofacial clefts. Some mothers undergo amniocentesis tests to try and detect syndromes that have a greater impact like Down’s and Edwards syndrome. One of the more common conditions often associated with cleft is PRS (Pierre-Robin Sequence). This condition is typically detected once the baby is born and the baby will have a very small chin. These infants will usually have cleft plates as their tongues are not able to fall into position correctly while the infant is developing. This cleft is typically U-shaped and wide and will have an effect on the hard-palate and the soft palate. Babies that are born with PRS may have breathing difficulties and CNS (Clinical Nurse Specialists) will advise the mother on an “individual basis”. However, they often suggest that the infant feed and sleep on “their” sides for a number of weeks after the birth. Some babies with this condition will require assistance with their airways and in some cases a naso-gastric tube will be used to deliver food directly into the stomach and to avoid the risks of milk that goes down incorrectly during feeding. Stickler Syndrome is another condition associated with a cleft lip or palate. This is a far rarer condition and in some cases will go un-diagnosed. SS (Stickler Syndrome) is recognized as a type of genetic condition which is typically passed from one of the parents onto the child. This condition is common in both girls and boys. Having this condition decreases the amounts of connective tissue and collagen that support the organs or cover for the bone ends inside each joint. 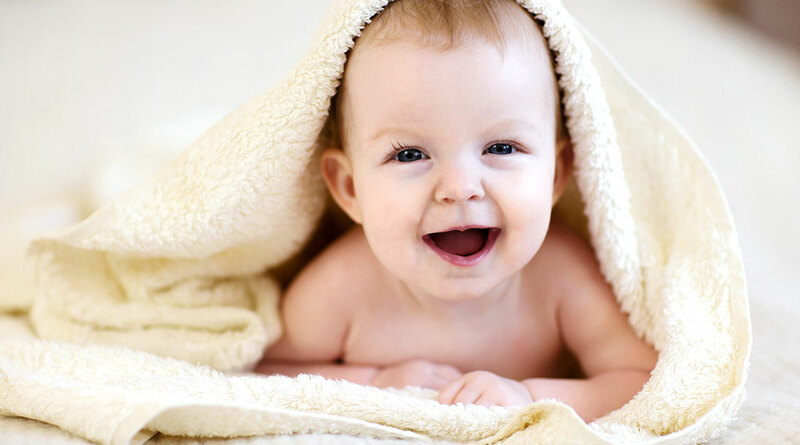 Collagen also assist with the normal functioning of the eyes, so babies that are born with this syndrome will typically need frequent check-ups at eye-hospitals. Stickler Syndrome is also linked with the heart murmurs like “mitral valve prolapse”, and also will require regular visits to a Cardiologist or Pediatric heart doctor. 22q11 Deletion Syndrome that also goes by the name of Conotruncal Anomaly Face Syndrome, Shprintzen Syndrome and DiGeorge Syndrome. This syndrome happens due to a fault that occurs in chromosome 22 which usually results in unusual or characteristic facial features, abnormalities of the heart and palate issues such as an isolated cleft palates or sub-mucous plates whereby a layer of thin skin covers the cleft. Other symptoms can include the soft plate that may appear normal but causes issues with feeding or speech, lowered immunities to infections, blood-calcium levels that are low. The babies that are born with 22q11 Deletion Syndrome can have one or all of the above mentioned conditions.